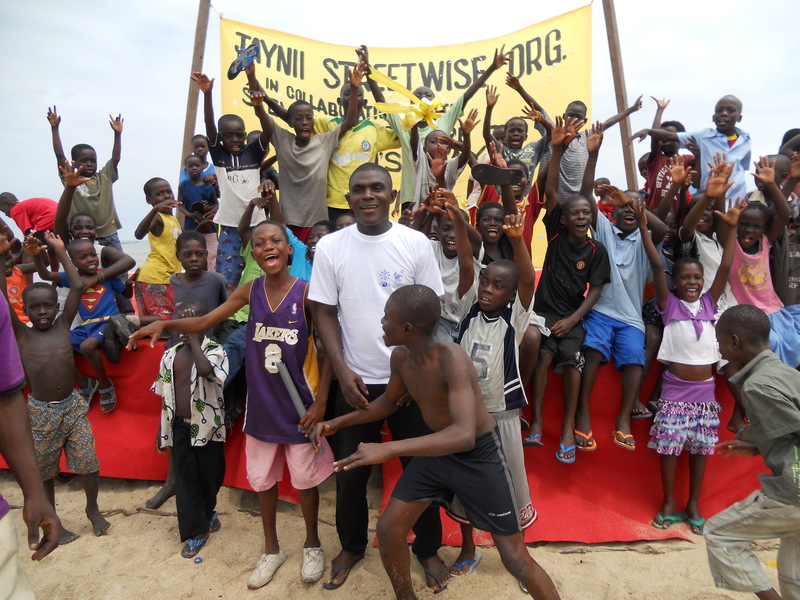 Jaynii Streetwise is a charity and non-governmental organisation founded in Ghana by Jay Borquaye and Emmanuel (Nii) Quartey in the deprived area of Jamestown (Accra) with the aim of improving the lives of children and youth. 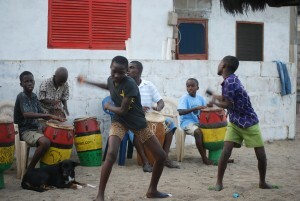 Jaynii Streetwise was born out of their Jaynii Cultural Troupe, a traditional music and dance group which has performed at countless functions locally and internationally. Over time, Jaynii has identified the need to support ongoing efforts by government and civil society to keep children off the streets and in school. As a poor, marginalized and deprived area, many children are found walking on the beach and in the streets during school hours. Most of these children come from very deprived homes. 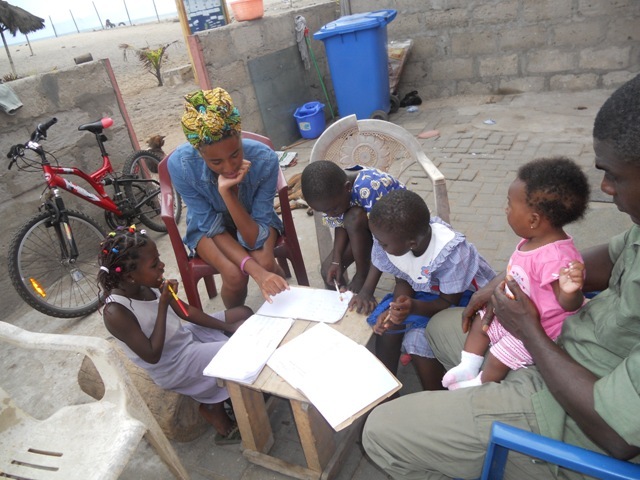 So far Jaynii has identified fifty children aged between 4 to 16 years who have been enrolled into the Streetwise Project, based at Jaynii Beach, a small stretch of beach just below the Jamestown lighthouse which is now their centre. These 24 girls and 26 boys, who were spending their childhood walking aimlessly on the Jamestown Beach, are now enrolled at schools in the communities- Accra Sempe Primary School in Classes 1 to 6 and St. Thomas Day Care Centre. Jaynii, without assistance from parents, buys them school uniforms, shoes, bags and exercise books and registers them in school. 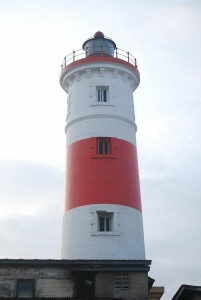 After school hours, the children go to Jaynii Beach where they get fed as well as get extra classes, homework help and afternoon activities and entertainment. You can see some of those beautiful childrens and what JayNii Streetwise do for them here. 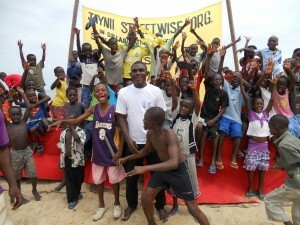 You can see and listen to amazing Jay and Nii telling their story and the JayNii beach: the story of Streetwise. 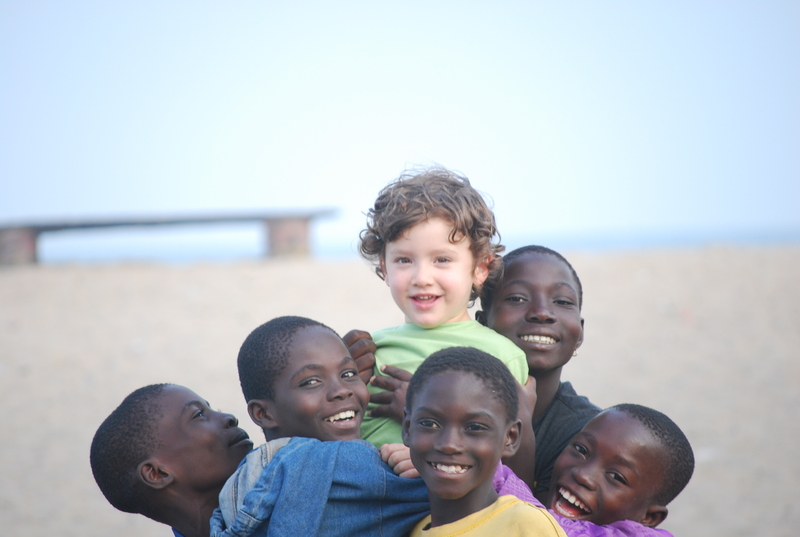 My family and I were on holidays in Ghana in July 2010 and we went to meet them at Jaynii Beach…and we spent a few amazing hours. We entered from the street into the beach, and after a few minutes children started appearing and happily sorround us. We were warmly welcomed by Jay and Nii who also took time to explain us about Streetwise, their activities and their story. Those wonderful smiley children played with our then 4 years old son Liam, they played with us, they played music and danced for us….and touched us deeply. 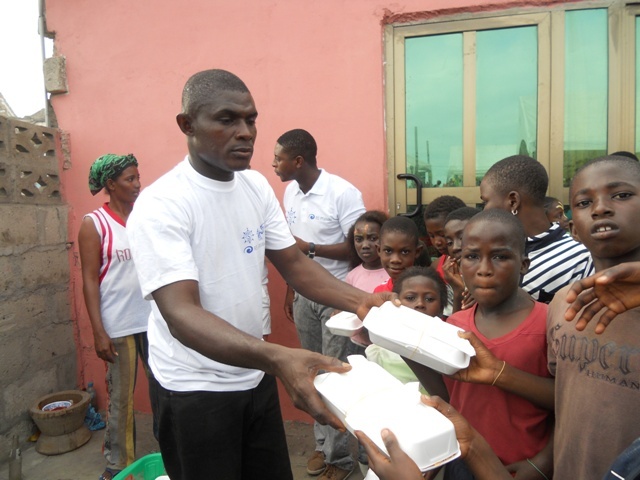 Jay and Nii are simply amazing, they are great with those children; it is amazing how they started from nothing, from the same reality as those children, and they are really making a huge difference for them. When we left at the end of the afternoon we promised we would help them….so that they can continue supporting these children, improve their facilities, build a library, a computer lab, a training centre, maybe even a school. ….and so, here we are. JayNii Streetwise Ireland was born.